Three people were fatally shot and another injured in what appears to be a domestic dispute in Charlotte, North Carolina on Saturday morning, Dec. 9. Charlotte-Mecklenburg police responded to a call around 8:40 a.m. about a report of an assault with a deadly weapon at the Woodland Park apartment complex off Kilborne Drive in east Charlotte, where they found four gunshot victims, WSOC-TV reports. Three were pronounced dead at the scene. 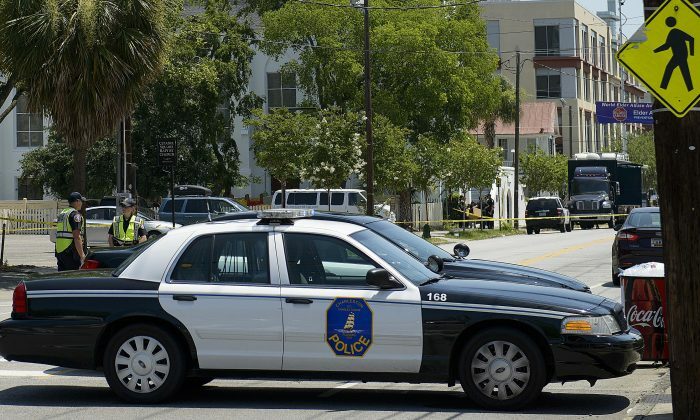 The fourth was taken to Carolinas Medical Center and is in critical condition. All four were family members or friends, police told WSOC. They would not release names or ages of the victims. Sacramento Andrade, who identified himself as the uncle of one of the victims, was mystified about what had happened. “Good mother, good father, good sister, good brother,” he told WSOC. “They never had any problems. Police said they were canvassing the neighborhood looking for witnesses, trying to piece together the chain of events which led to such a deadly outcome. Police also said they were not looking for suspects, which suggests that the victims shot each other. The three killings are the 83rd, 84th, and 85th in the city of Charlotte so far this year. That makes 2017 the deadliest year Charlotte has seen in 25 years, according to CrimeinCharlotte.com. How might you react to hearing that your family members had shot each other in a dispute? Can you even imagine it happening? Post your comments below. If you liked this article, your friends might also. Share it with them and see.